You, you said youd wait until the end of the world. A very beautifully done photo. 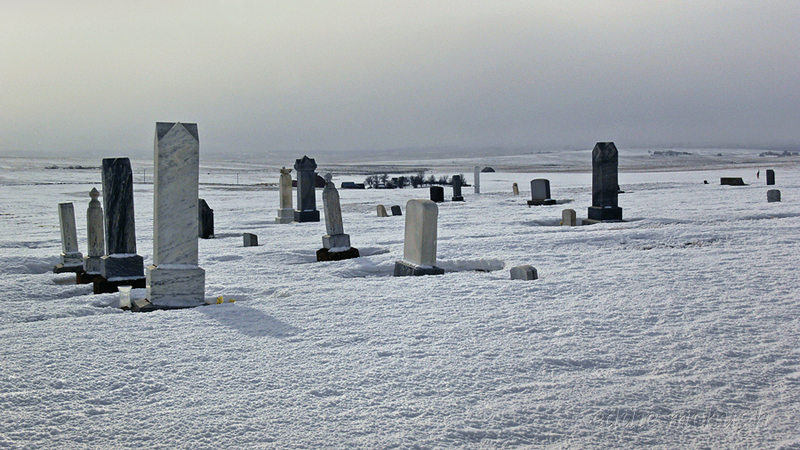 Winter at the cemetery is really the dreariest of all. This really is beautiful. Interesting words to accompany this image. It looks so barren and cold. Title and words are very fitting for this image albeit somewhat disturbing reading. At least the “tenants” have a great view in this location. Nice shot. For the first time in coming here I am speechless. I opened this and gasped. I felt like someone punched me in the chest. So many emotions slammed into me at once. I can’t yet sort them out. I could say more but I think it would be too personal here. So I will say, thank you for the rare way that you see the world. It must be amazing being you and walking through this world with your eyes open. I think I really understand that. The full atmosphere of musing, sadness…Well done.